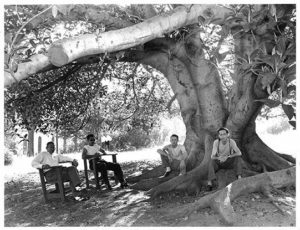 The Passionist-preached retreat ministry has continued since the first retreat in 1926, which was held under the shade of a giant Moreton Bag Fig tree. 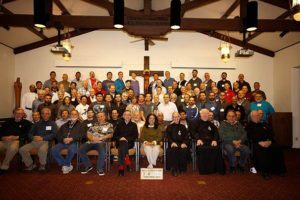 This is a powerful testament that the retreat ministry at Mater Dolorosa is an important and necessary ministry to the many men and women who come to the mountain every year to attend their retreat. A retreat at Mater Dolorosa offers solitude and silence, a time to stand apart from the pressures of the day ~ to reflect, to pray, and to be restored by the love of Christ. Contributions to Mater Dolorosa help us to continue to provide a spiritual sanctuary where people can leave behind the demands of every day life and renew their faith in a more meaningful way. 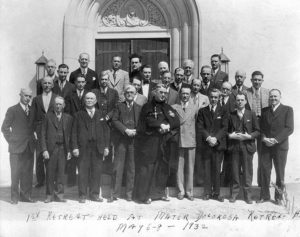 Your support is needed more than ever before to ensure the retreat center has sufficient resources to carry out its mission, to offer Passionist-preached retreats, and to continue our long-held traditions well into the future. Make a secure online donation to Mater Dolorosa. Click here to make a Century Club donation. Click here to make a Sponsorship Circle donation. 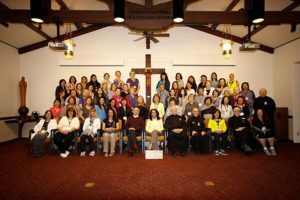 Please consider Mater Dolorosa Passionist Retreat Center in your will or estate plan. Click here to learn how to complete your bequest to Mater Dolorosa.